Dar Lighting wooden Christmas tree decoration with grazing reindeer detail. 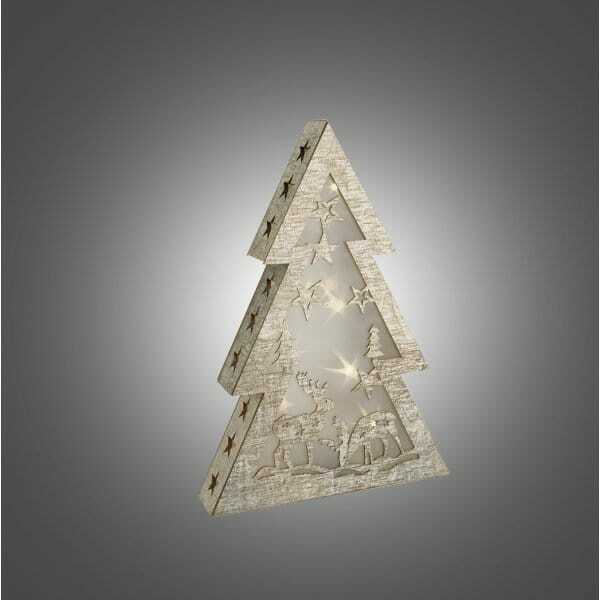 The product code for this Dar Christmas tree light is 006X04007. The rustic wooden finish enhances the charm of this battery operated festive decoration which can be placed anywhere within the house as no mains cables are required.